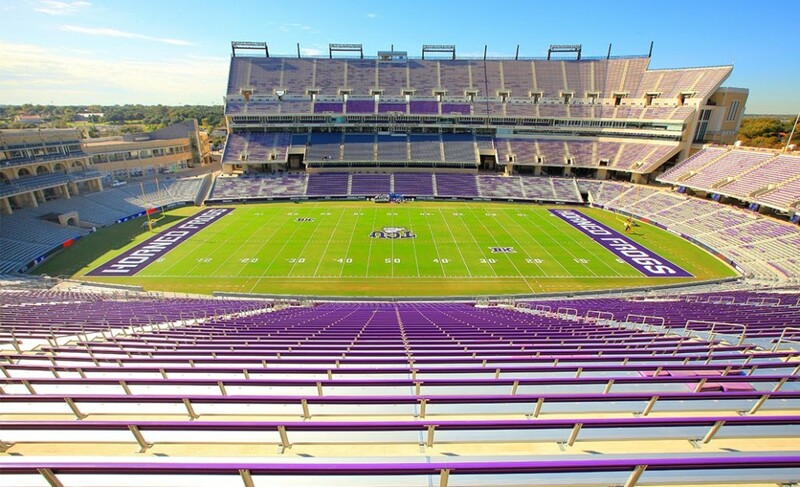 Our firm was retained to provide site and landscape architectural design for the renovation of Amon Carter Stadium at Texas Christian University. 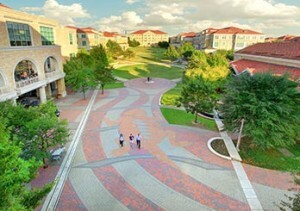 We designed several new spaces, including the Arrival Court, Party Deck, East Lawn, Frog Alley, and Circle of Excellence. 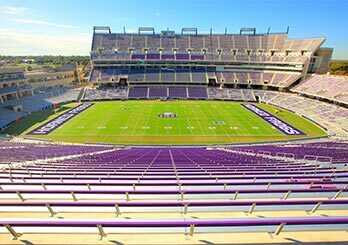 The Circle of Excellence will showcase TCU students who have contributed to the university through athletics or academics. 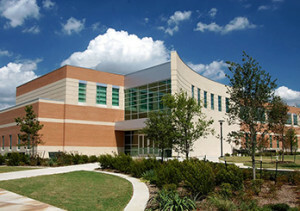 The Circle of Excellence is the main entrance to the stadium from the student union and campus commons. The other open spaces and plazas will provide space for student, alumni, and community gatherings throughout the year. 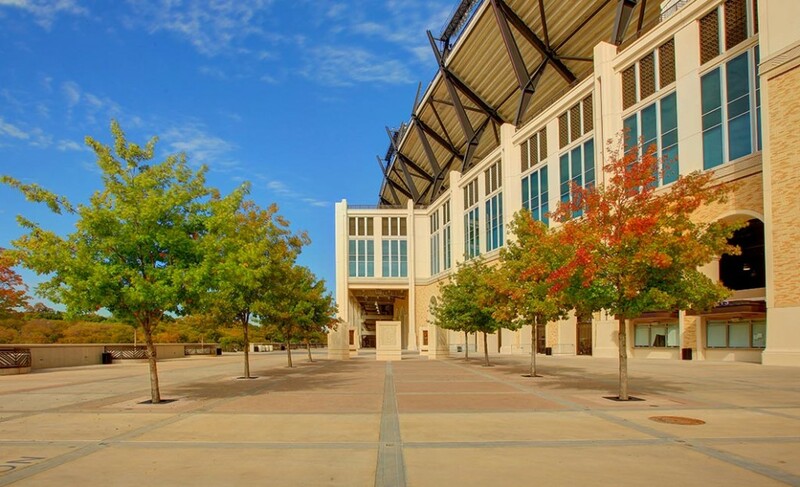 The parking areas around the stadium are designed for tailgate parties and flow into one of the main plazas, which lead to a main entrance of the stadium. 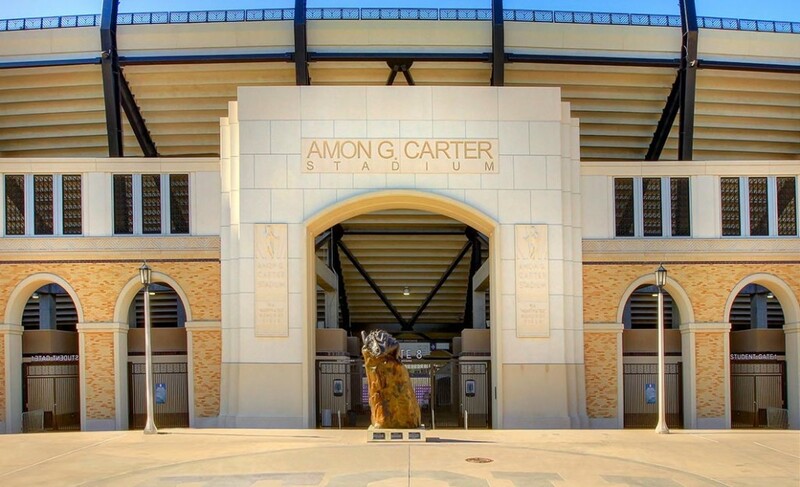 The new outdoor spaces around the stadium design correspond to the overall campus design, enhancing the character of the university campus.